Signify, formerly Philips Lighting, has given a dramatic lighting facelift to Shanghai, China's financial and economic centre. The project has been implemented for the Shanghai Municipality and involves dynamically lighting the iconic waterfront, three bridges and over 40 buildings in the financial and tourist districts. It is the largest, single, architectural lighting project in Signify's 127-year history and illustrates the company's leadership in unlocking the potential of connected lighting to transform cities. 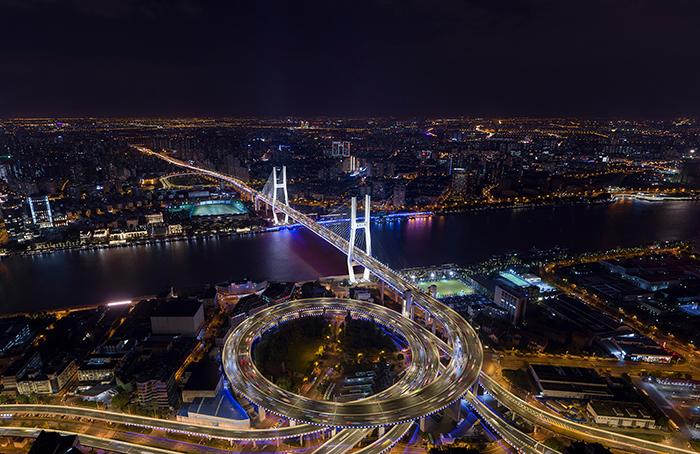 In total there are more than 50,000 connected light points stretching 1.2km along the waterfront - a length equivalent to over 13 football pitches - as well as on three bridges: the Yangpu (pictured top), Nanpu and Xupu bridges. At 1,380ft, the Shanghai Jinmao Tower is the third tallest building in the city, featuring dots of light to give a sparkling effect on its red top. The red tops of the skyscrapers in Pudong are lit with over 27,000 Philips LED luminaires. The Yangpu and Nanpu sister bridges stretch 11km along the Huangpu River and have been illuminated. 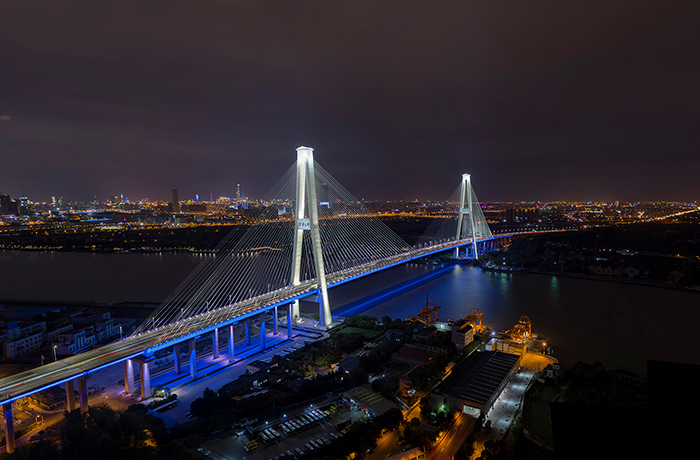 A total of 7,800 connected Philips LED luminaires including Philips Color Kinetics LEDs now light up the Yangpu, Nanpu and Xupu bridges using the Interact Landmark system.